In order to get the most out of your Stamford commute or Rye trip, get behind the wheel of the new Mercedes-Benz C-Class Coupe. 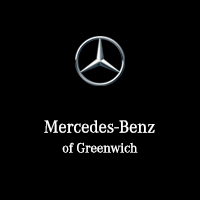 Find the two-door model that has all of the technology, comfort, and convenience features you want in a new luxury vehicle at Mercedes-Benz of Greenwich. Fully experience the C-Class in person when you visit our dealership and upgrade your daily drive today. If you’re looking for a more efficient option, there’s a hybrid engine option available as well. Explore the Mercedes-Benz C-Class inventory available to find the right one for you and then take a look through our new vehicle specials to make the car-buying process more affordable. If you want to delve into the features of this model or another, schedule a test drive with us at Mercedes-Benz of Greenwich.